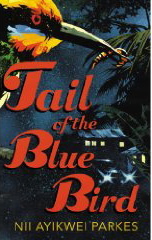 At the last Accra Book Club meeting, a small group of us – four actually – discussed, among other things, Nii Ayikwei Parkes’ Tail of the blue bird. 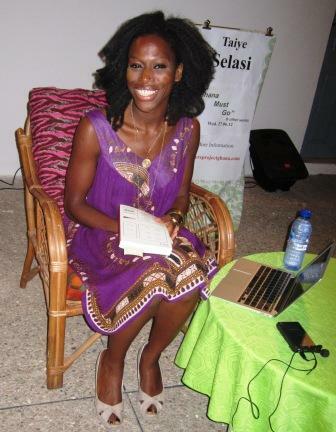 The group had chosen it – mainly on yours truly’s recommendation, I am proud to say – as a contemporary Ghanaian novel. And that we all agreed, it is, despite its movement from the hussle of Accra, which resonated realistically, to the rural setting of a forest village somewhere in the Eastern Region. 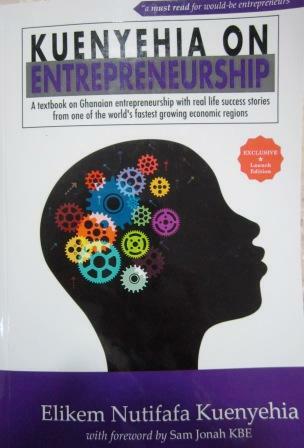 The use of English interspersed with Ghanaian expressions helps to reinforce the impression of the now. 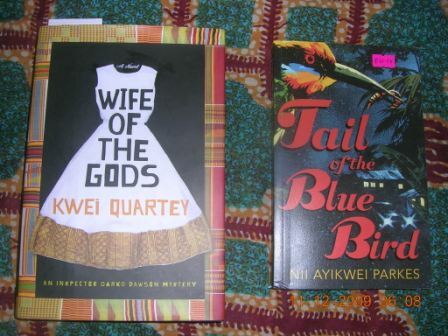 Interestingly, at least one colleague brought up the theme of the Ghanaian detective story/crime novel, and of course we did mention the recent book by Kwei Quartey, Wife of the Gods, which several of us had read. Although we all felt that the Parkes book was better written, this was not a condemnation of Quartey’s novel, which was readable and enjoyable. 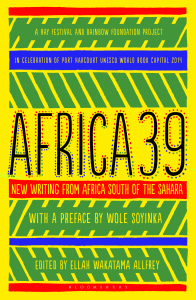 I mention this because another literary blogger from Ghana, Nana Fredua-Agyeman, recently talked about the lack of African detective novels, and specifically mentioned Quartey’s book as being innovative in this regard. Certainly for Ghanaian fiction I would agree, but come to think of it, the heroine of the No 1 Ladies Detective Agency series by Alexander McCall Smith is of course from Botswana, even if the author isn’t. And what about Nairobi heat, by Mukoma wa Ngugi? And aren’t there many South Africans who write crime fiction? Still a good topic to talk – and think about. Thanks Nana for bringing it up!